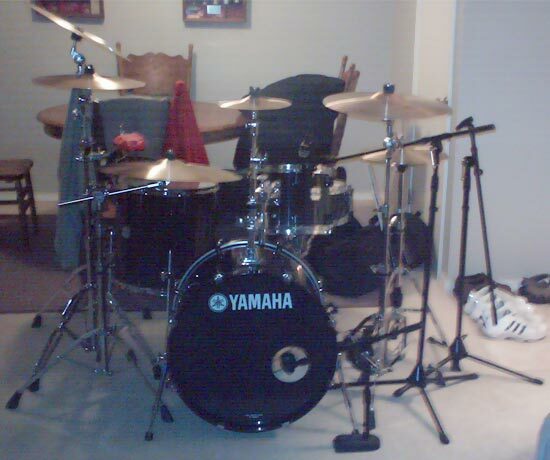 Hi my name is John Davis and I'm from Louisville, KY. Can you please post this photo of my Drumset. It's a "Yamaha Stage Custom Advantage" Drums in "Raven Black Fade." The cymbals are all "Zildjian" except for the China Crash and it's "Sabian."